If you suffer from the curse that is oily skin, you will have some point in your life come across the struggle of finding a good powder strong enough to keep you going to at least midday without looking oxidised and cakey. Whilst this Soap & Glory powder isn’t a setting powder, it is to be used through the day to help combat shine. Think about those blotting sheets that were all the hype a couple of years ago, absorbing excess oil without adding any product or cakiness to the skin. This powder aims to do the same thing, minus removing the makeup you already have on which is what I dislike about blotting sheets. The main difference between a regular powder and a blot powder is that it will not oxidize with the skin, for those who don’t know what that is, it is where the oils in your skin mix with your powder causing it to look darker, but blotting powders don’t tend to do this (HALLELUJAH). The powder applies very smoothly and doesn’t feel like you’ve added any product to your face, leaving it feeling matte but not flat or cakey.Whilst the shade is classed as translucent I do feel as though it has slight yellow tones to it, I have yellow undertones to my skin so it didn’t notice anything. When I swatched this on my hand I couldn’t see any yellow tones showing through. The powder when applied feels velvety yet light on the skin, and as I have combination skin I don’t feel as though it highlights any dry patches. As I use setting powder purely to control my oily skin rather than to set my makeup, I used this in the morning and to touch up through the day. Let me start by saying I have very oily skin, and I have struggled to find anything over the years that keeps me shine free through the course of the day. But WOW, this powder is hands down one of the best powders I’ve come across. Don’t get me wrong I still have to touch up around mid-day but I just LOVE how it looks and feels on the skin. With every other powder I’ve tried it adds coverage to the skin sometimes making it look cakey and there’s still a slight shine left, making me have to powder in the evening. This powder is so finely milled that you can’t see the product on the skin, adds no coverage and controls oil very very well. 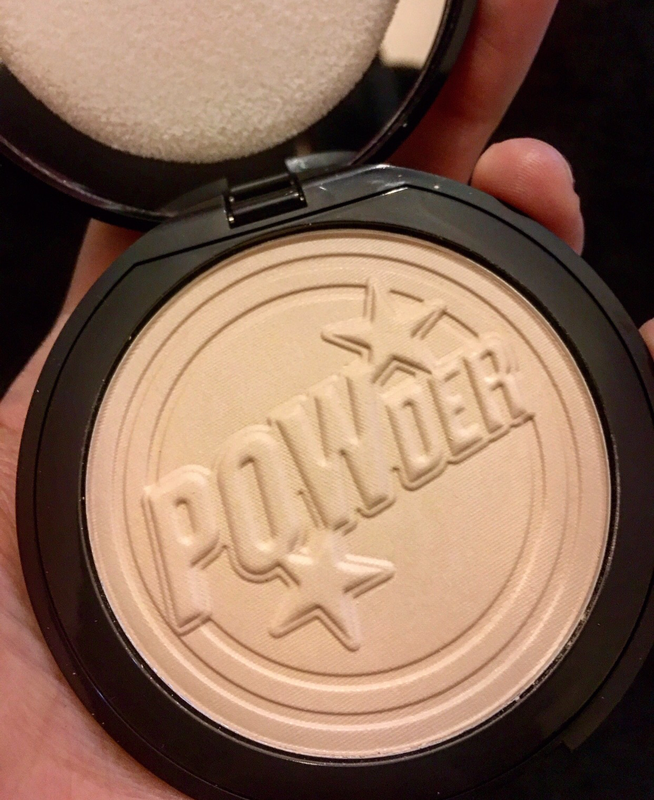 I love this powder and can’t recommend it enough. If your looking for a light powder to help with very oily skin then this is what your looking for, trust me. My skin is also sensitive and found it hasn’t aggravated it in any way. I honestly can’t reccomend this powder enough. It’s priced at £12 and is available from Boots!